The transitional condition of sexual morals at the present time is due in the main to two causes, the first being the invention of contraceptives, and the second the emancipation of women. The former of these causes I shall consider at a later stage; the latter is the subject of this chapter. The emancipation of women is part of the democratic movement ; it begins with the French Revolution, which, as we have already seen, altered the laws of inheritance in a sense favourable to daughters. Mary Wollstonecraft’s Vindication of the Rights of Women (I792) is a product of the ideas that caused and were caused by the French Revolution. From her time down to the present day the claim of women to equality with men has been asserted with continually increasing emphasis and success. John stuart Mill’s Subjection of Women is a very persuasive and well-reasoned book, which had a great influence upon the more thoughtful members of the generation immediately following his own. My father and mother were disciples of his, and my mother used to make speeches in favour of votes for women as early as the ‘sixties. 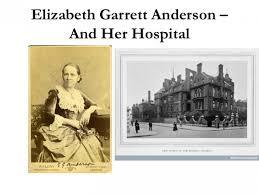 So ardent was her feminism that she caused me to be brought into the world by the first woman doctor, Dr. Garrett Anderson, who was at that time not allowed to be a qualified medical practitioner but was only a certificated midwife. The feminist movement in those early days was confined to the upper and middle classes, and had therefore not much political strength. A bill to give votes to women came before Parliament every year, but although always introduced by Mr. Faithful Begs and seconded by Mr. Strangways Pigg, it never at that time had any chance of passing into law. The middle-class feminists of that day had, however, one great success in their own sphere, namely the passage of the Married Women’s Property Act (I882). Until the passage of that Act, whatever property a married woman might possess was in her husband’s control, although of course where there was a Trust he could not spend the capital. The subsequent history of the women’s movement on the political side is too recent and too well known to need recapitulating. It is, however, worth observing that the rapidity with which women in most civilized countries have acquired their political rights is without parallel in the past, considering the immense magnitude of the change in outlook that has been involved. The abolition of slavery is more or less analogous, but after all slavery did not exist in European countries in modern times, and did not concern anything so intimate as the relations of men and women.